Hon. 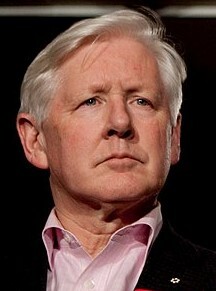 Bob Rae-"Human Rights in Age of Populism & Nationalism"
The Honourable Bob Rae will speak at Western Law on Thursday, February 14, 2019 at 12:30 p.m. in the Moot Court Room on "Human Rights in an Age of Populism & Nationalism". The talk is presented by the Western Law Distinguished Speaker Series. All are welcome to attend. Rae was appointed as Special Envoy to Myanmar by Prime Minister Justin Trudeau in October 2017. As Special Envoy, his role is to reinforce the urgent need to resolve the humanitarian and security crisis in Myanmar and to address the situation affecting vulnerable populations, including the Rohingya Muslim community, other religious and ethnic minorities, and women and girls. He will also advise the Prime Minister on how Canada can best support efforts to respond to the needs of those affected and displaced by the recent violence. Rae is a former Premier of Ontario, and former interim Leader of the Liberal Party of Canada. A Rhodes Scholar, he completed his studies at Oxford University in 1973 and graduated from the University of Toronto Faculty of Law in 1977. Between 1978 and 2013, he was elected 11 times to federal and provincial parliaments. Rae stepped down as a Member of Parliament in 2013 to return to legal practice and, in particular, to work with Indigenous communities and continue his work in education, governance, and human rights. He is a senior partner at OKT - Olthuis Kleer Townshend LLP. In addition to his legal practice, he is a Fellow of the Forum of Federations, and teaches at the University of Toronto in the School of Public Policy and Governance, the Faculty of Law, Massey College, and Victoria College. He is also a mediator and arbitrator with ADR Chambers.